Oh what fun we all had at our recent Colour-athon! On Thursday 23rd November our Colour-athon day finally arrived after we were disappointed the week before when we had to postpone due to ‘unfriendly’ weather causing a wash-out! However, the weather really turned it out for students, teachers, parents and our community as we ran and walked ourselves around our oval whilst enjoying the bright sprays of colour as we went along. It did not take long before most of us were covered in bright colours from head to toe. We were also lucky to be cooled down on this very hot day with a little bit of added water fun as well – much to the sqealing delight of our students (and maybe some of our teachers too!). We enjoyed drinks, icecreams and food thanks to the organisation and volunteers of our community members and Parents, Teachers and Friends group – we were all very thankful for the cold icypoles throughout the day and at the end after all of our laps. 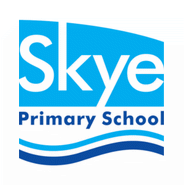 Every year Skye Primary School holds our annual fundraising Fun Run event – however this year was the very first of our ‘A-thons’, with this year being our first ever ‘Colour-athon’. We wonder what type of ‘Athon’ it will be next year!